When space is at a minimum, the kitchen needs to serve one purpose: meal preparation. Leave bill paying and schoolwork for another room, and focus on what your kitchen needs to do. 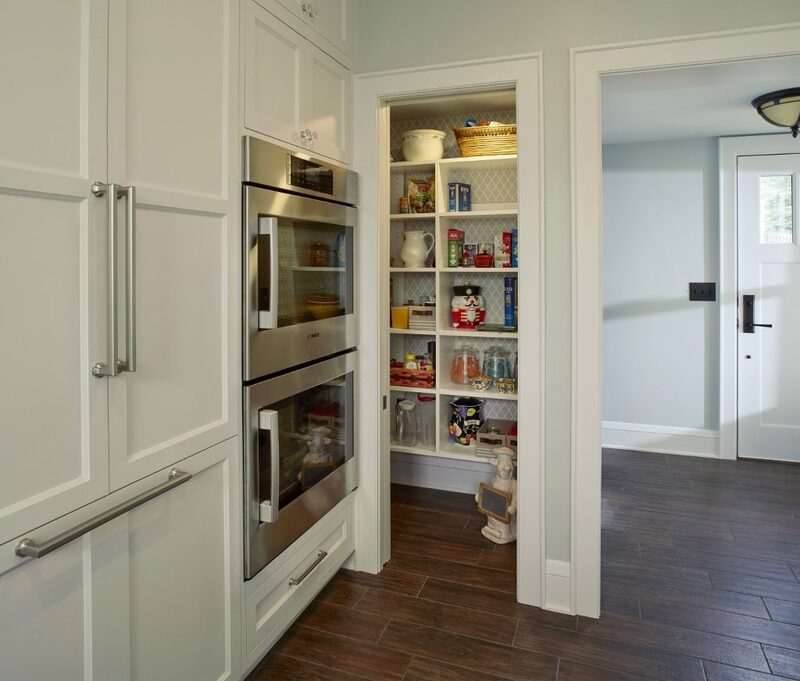 Built-in appliances, such as wall ovens and microwaves, conserve counter space for food prep, while small pantry cabinets keep clutter out of sight. Overhead cabinets tend to overwhelm small kitchens and give them a boxy, claustrophobic feel. Ditch the uppers for pot racks or shelving. Look into magnetic spice and knife holders. Just a little open space can do wonders to open up a small room. Another trick designers use to make small kitchens seem larger is to use glass. 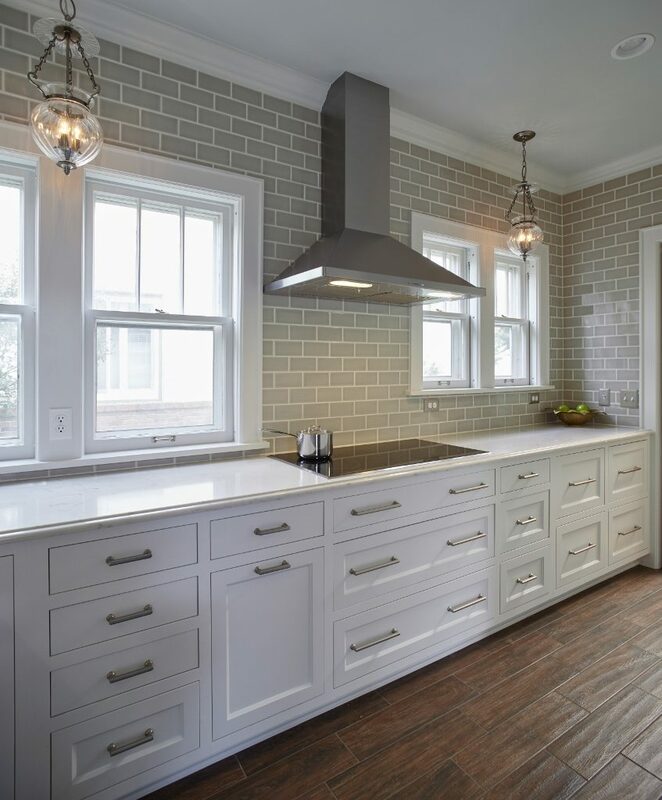 Glass on surfaces, on walls (via mirrors or tile), and on kitchen cabinets can work to make your kitchen seem much larger than it is. 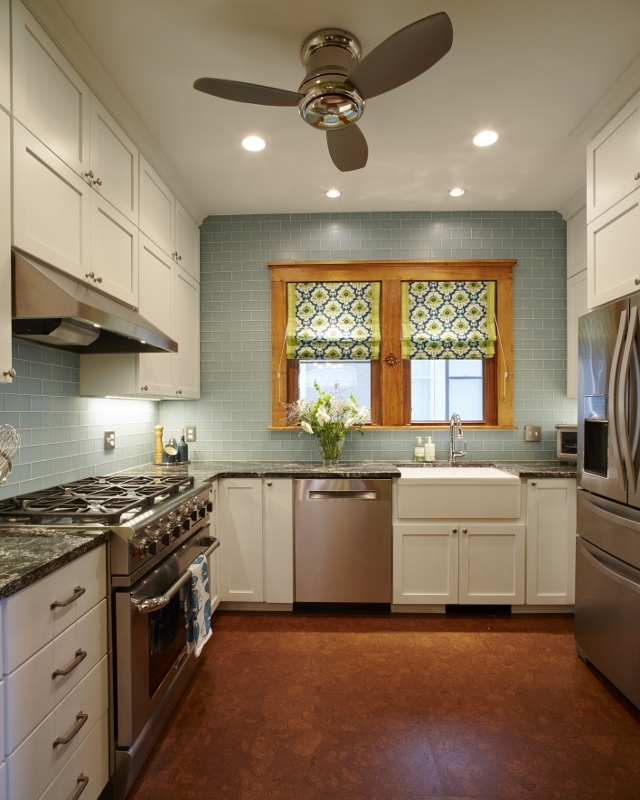 Also, using pastel colors intermixed with white works to draw eyes upward, which makes a small kitchen appear larger. Light, light, light! Use different types of lighting to open up shadowy corners and areas. Counteract harsh fluorescent lighting with the warmer glow of pendant lighting. Lighting can be placed in glass-doored upper cabinets and underneath upper cabinets to illuminate higher spaces, drawing the eye up. 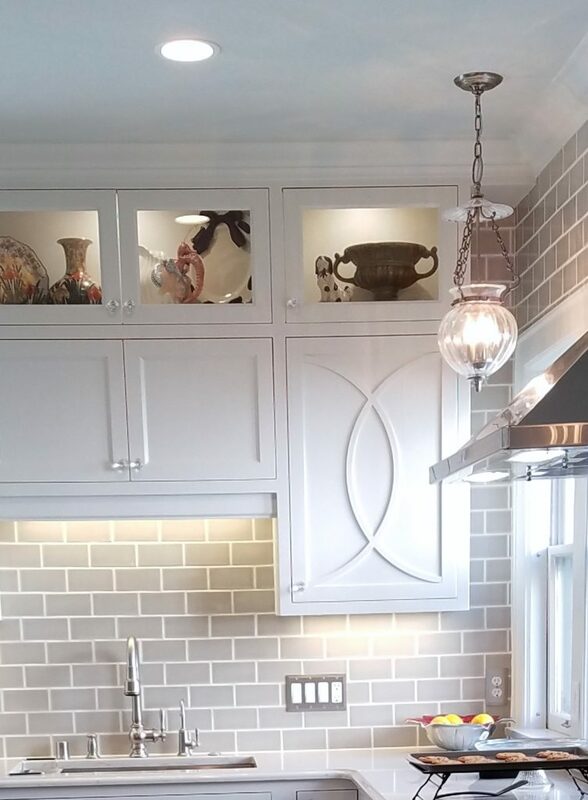 Under-cabinet lighting brightens up the countertop area and provides important task lighting. The difference in the feel of these kitchens is incredible. The new spaces are bright, light, cheery, and uncluttered – and all without having to knock down a single wall!